Last week was all about making decisions. We have been trying to come to a decision regarding the cabinets. We were finally able to get several estimates. The estimates ranged from $4600-$8000 for solid plywood cabinets. We did lots of soul searching and decided we really did not want to spend that much money on cabinets. We were not in love with any of the cabinets that we looked at. So we decided to stick with what seems natural to us, trying to use as much of our existing cabinets as we can. Mitch will build any new cabinets that we need. 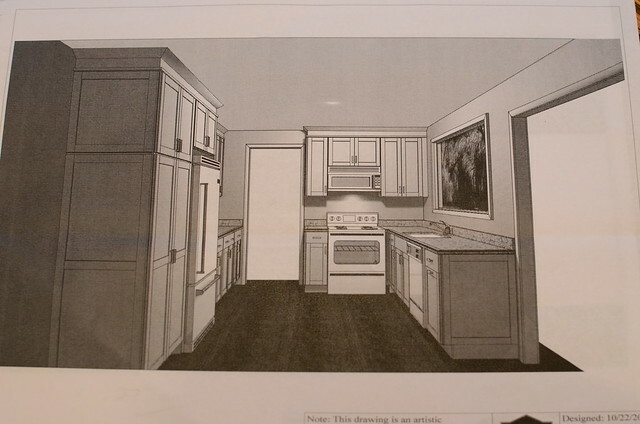 The one good thing about getting all of the estimates for the cabinets were these cool plans that we received. 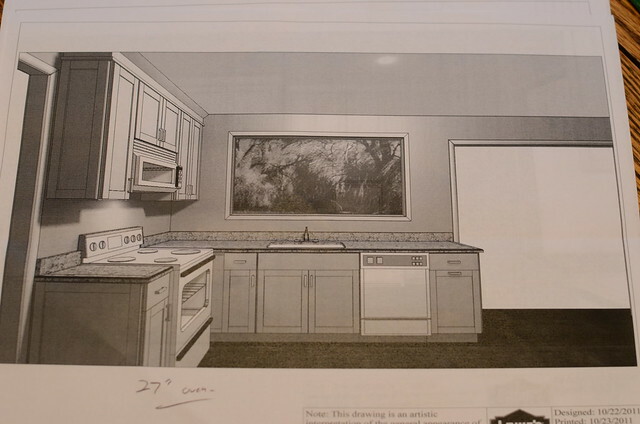 These really helped us visualize how the kitchen will (hopefully) look one day. 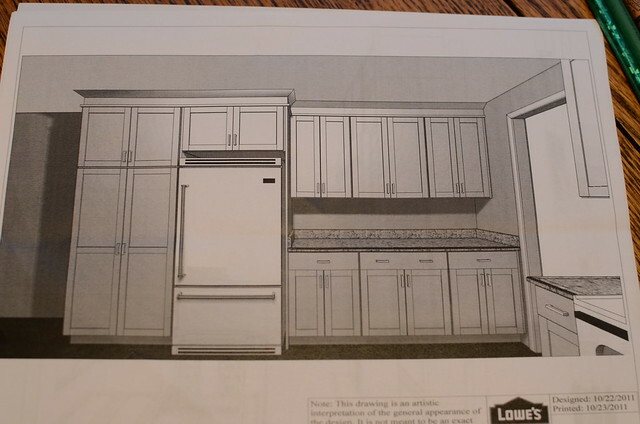 Look at all the cabinet space we are going to gain by the fridge. We have decided that we are going to do butcherblock for the countertops on this section and probably granite for the section by the sink. Mitch did manage to find a little bit of time on Sunday to start building out the recession for the fridge. 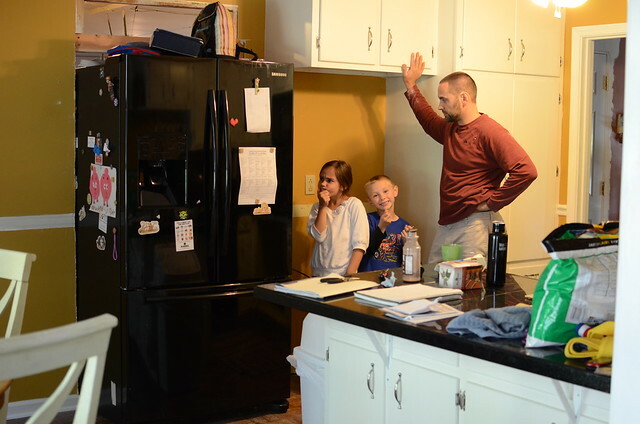 We moved the fridge to make sure it would fit in the opening. It fit!! It is all ready for drywall. 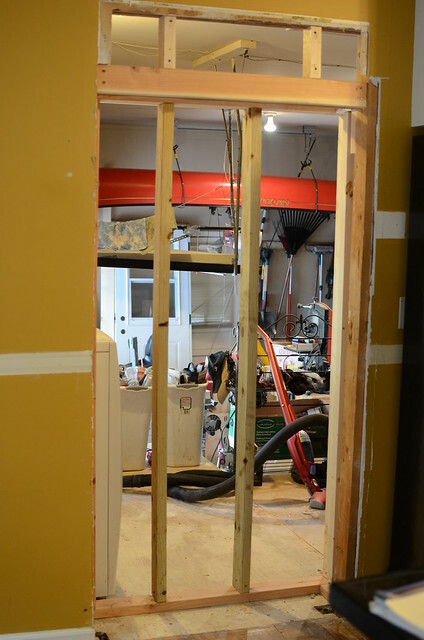 We have a contractor coming this week to do some of the electrical work and drywall this area. Baseball season ended last night so that will free up some time for us. 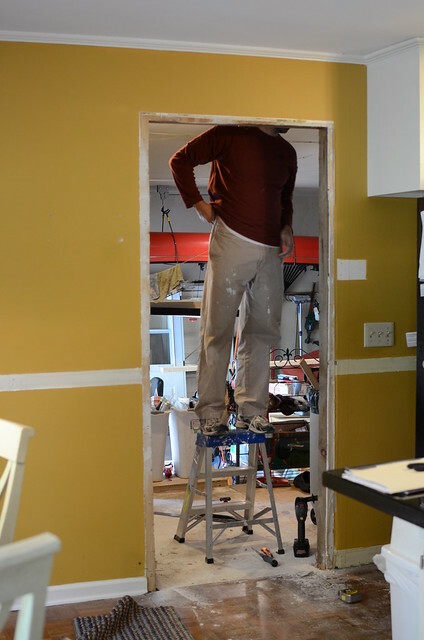 No telling what we could accomplish if we actually had a full weekend to work on the kitchen. I think there is nothing cooler than looking at plans. I think I should have been an architect. 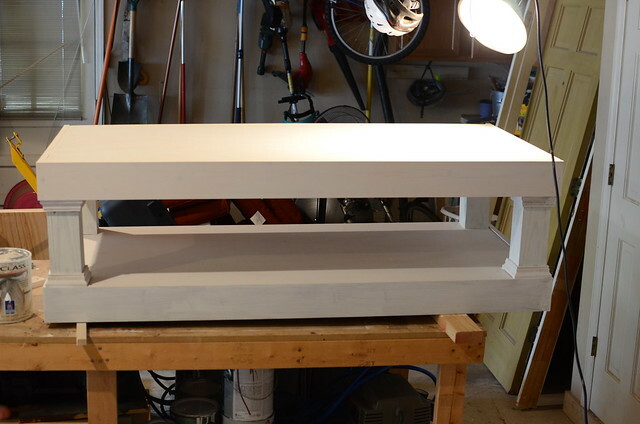 The cabinets around the fridge are going to be awesome! !